Picking the winner of a professional golf tournament is hard — there are so many good players, so many variables out on the course, and so many things that can dictate who wins week after week. But there’s another way to wager on golf that provides a bettor with more options — and more chances of collecting a return. “Each way” betting allows a bettor to wager on a player not just to win, but also to “place” — which means finish in a top number of places, say four or five, the exact number to be determined by an individual sports book. The odds aren’t as good as betting on a player to win, but chances of a bettor cashing in are much better. It's a great way of reducing risk while still winning some decent coin on the links. Bubba Watson was a 16/1 bet to win the Masters in 2016, for instance, while his each way bet (in this case, anywhere in the top five) carried odds of 7/2. Making an each way bet on a player you’ve already bet to win the tournament can result in a double payday if he ends up holding the trophy at the end. Each way bets can also act as a kind of insurance especially when partaking in bigger events like PGA Tour betting and Masters betting. Justin Rose in the 2015 Masters, for example, carried odds of 20/1 to win and 5/1 each way, meaning a bettor would have netted $250 on a pair of $10 wagers had Rose slipped on the green jacket. Alas, Rose finished third that year — but the bettor still would have cashed for $50, more than doubling his initial investment. Also be aware of a player’s form entering a tournament — if he’s battling an injury or some other issue, his strong past performances on that course may not be as relevant. As always, research is key. A player’s number of top-five finishes on a season or at a particular event are easy to find, and can be an invaluable guide in each way betting. Also look at average finish in individual tournaments; Jordan Spieth, for example, has an average finish at the Masters of 3.8, making him a strong each way candidate at Augusta National, although his odds won’t be as long as those of other players. The goal is to find value, as in any betting situation. 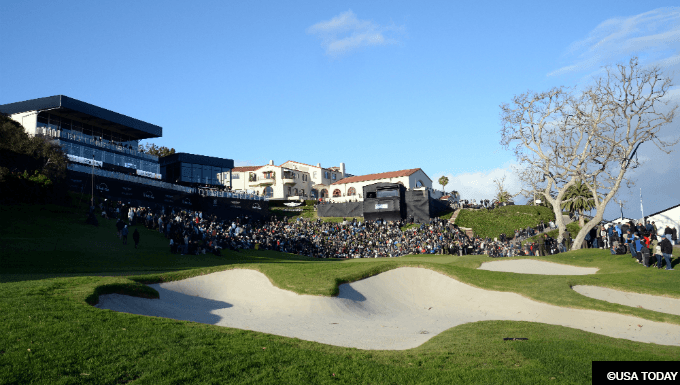 Golf research materials are readily available online, and each way betting widens the pool of prospective betting candidates, allowing bettors to dig deep and unearth potentially lucrative finds for the tournament from the field that week.